Model Driven Engineering (MDE) is rapidly maturing and is being deployed in several situations. We report here on an experiment conducted in the context of ILOG, a leader in the development of Business Rule Management Systems (BRMS). BRMSs aim at enabling business users automating their business policies. There is a growing number of BRMS supporting different languages, but also a lack of tools for bridging them. In this paper, we present an approach based on MDE techniques for bridging rule languages; the solution has been fully implemented and tested on different BRMS. 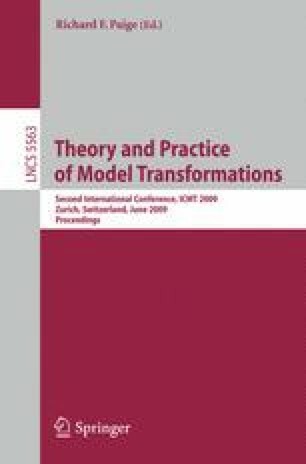 The success of the experiment has led to the development and chaining of a significant number of model transformations – no less than twenty. At the same time, this deployment has shown new problems arising from the management of a high number of artifacts. We discuss the positive assessment of MDE in this field, but also the need to address the complexity generated.